New Delhi, April 14: A Chandigarh man reached out to the Consumer Forum after he was charged Rs 3 by Bata India Ltd's retail outlet. The Forum, after inquiring into the matter, imposed a fine of Rs 9,000 on Bata for forcing the customer to pay additional Rs 3 for the paper bag -- which should be given free of cost along with the purchased product. The Forum has directed Bata to henceforth ensure that none of its retail outlets ask the customers to pay an additional amount for paper bags along with the purchased products. 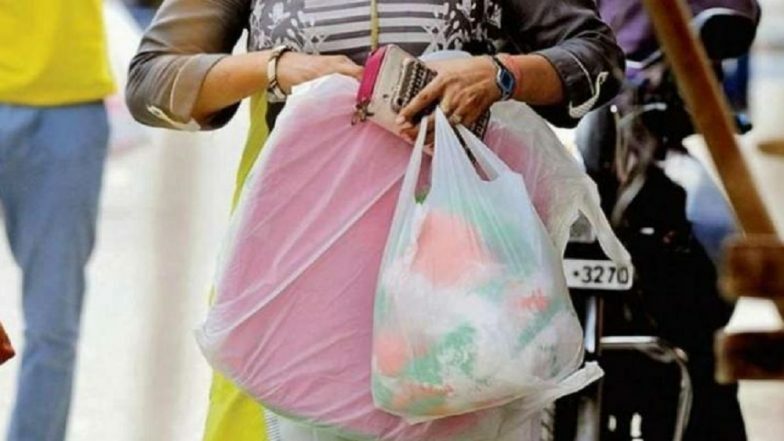 The carry bags, which should mandatorily be environment-friendly, should be given free of cost, the consumer body said. GoAir Asked to Pay Rs 98,000 to Mumbai Man for Cancelling 25 Tickets ‘Without Reason’. The complainant, Dinesh Prasad Raturi, had purchased a pair of shoes from Bata's Sector 22D outlet in Chandigarh on February 5. In his complaint to the Forum, Raturi had sought refund of Rs 3 which was charged to him by the footwear company. The Forum has decided that out of fine amount, Raturi would get his refund of Rs 3, along with Rs 1,000 in form of compensation for legal expenses, and Rs 3,000 in form of compensation for mental agony caused. The remainder of the fine amount would be deposited in the legal aid account of the State Consumer Disputes Redressal Commission.